For fishing she has the largest beam of any Downeast 31'. For weekend cruising she is as kindly a sea going 31' Downeast boat as there is. Downeast hull designs are known for their soft, dry ride. They ride at relatively flat angles at all speed ranges. Moreover, like many private airplanes, their single engine design cuts fuel and engine maintenance costs in half while providing a keel that gives great protection to the propeller and rudder. Due to the nature of custom built boats they can cost more than a production boat but remember the bitterness of poor quality lasts long after the sweetness of low price is forgotten. Get aboard today and "let the boat do the talking". Solid hand laid fiberglass superstructure, fiberglass cockpit and cabin house floor. Full-length keel with protected prop and stainless steel rudder. Stainless spring and stern cleats are located as expected. The window frames are white powder coated aluminum, teak handrails in pilothouse and cabin house roofs are pleasing accents. With the pilothouse headliner and extensive Sound Down suppression below deck, this boat is smooth and quiet underway. Her hull has Imron Navy Blue on the outside and a white painted bilge on the inside. Starting forward is the characteristic Wilbur custom 3 foot teak bow pulpit with stainless steel bow rail. A helm controlled Lewmar windlass with stainless steel CQR plow anchor is at the ready with 20 feet of chain and 150 feet of 3/8 rode and optional 150 3/8 chain. On the cabin top is a custom mast with 2-12 volt floodlights and 2- 500 watt floodlights and double trumpet horn. If occasional fishing is in your plans this Wilbur comes with Rupp Radial outriggers and an ample supply of custom rod holders. The above deck live well/tub is wash down pumped and is scupper overflowed. Passenger safety is provided with a 4-person Switlik life float with automatic release. The Emergency Position Indicator Beacon has a hydrostatic release for automatic deployment. There are stainless steel dingy davits with all the rigging and a full teak swim platform.The bridge deck features the posted custom double helm chair and full backdrop canvas. ABLE has110-volt wiring connecting to automatic bilge pumps including an emergency 3000gal.per hour pump, dual Vetus stainless steel wipers, navigational lights, interior lights with circuit breaker panel. Bonding is all centrally sent to master zinc. Two marine batteries handle the starting and two 8D are dedicated to the house all can be charged via a battery charger for a Freedom Marine 20 inverter / charger with Xantrex helm mounted remote controller. You will find a 30-amp shore power cord for dockside power. Navigational duties will be a breeze with NEW Raymarine interfaced 16" screen RL70C Plus radar, Raymarine L760 w/HSBW GPS and depth sounder, Raymarine ST6001 autopilot and ST600R remote control, Spectrum VHS radio and standard compass. For added entertainment, there is the AM/FM CD player. The house cabin is simple and roomy with a v-berth with filler cushion for greater sleeping room, reading lights, hand laid teak and holly floors, and hanging storage locker. The settee in the wheelhouse easily converts to a double berth. An enclosed freshwater head to starboard with a vanity, sink and faucet, shower with water pressure system and ample stowage for toiletries. The galley to port has large storage cabinets above counter and below with a NORCOLD refrigerator and twin burner propane cook-top. Sink utilizes hot’n cold pressurized water from a 38 gallon tank. Steering is easy with a Hynautic hydraulic system. RACOR handles the fuel filtering for the 315 horsepower YANMAR 6LPA STP2 engine and transmission with less than 40 hours. This power plant is hooked up to a new transmission, new 2' stainless shaft with a new dripless. She is an 17 knot cruise all-day-long topping out at 20 knots. Pumps, hoses and new gauges have been replaced in this re-power. Saltwater wash down is provided at two different locations and all wash down pumps replaced. For those cool mornings, you can flip on the bus heater with vents in the head and at the helm. All exterior and 50 % of interior woodwork brought down to bare wood and 8 coats of varnish applied. New fresh water electric head, new teak and holly subfloor applied in head and in main salon. Hull buffed and new water line striped. Complete new package of Raymarine electronics installed with 16 inch screen. New 35 mile radar- , GPS/ plotter, digital transducer, wiring etc. Fresh coat of deck paint being applied. 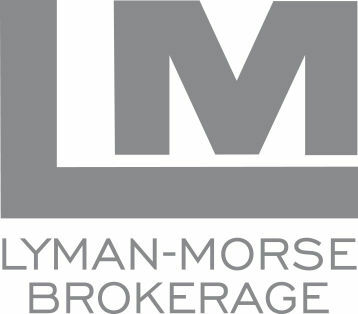 Andre Båter fra Lyman-Morse Boatbuilding Co.
Vis alle Båter fra Lyman-Morse Boatbuilding Co.